Industry insider GUY DUCKER's blog on how to make films and how to make films better. Proud to be supported by Salon, supplier of high quality and reliable editing equipment to the film and TV industry for over 40 years. 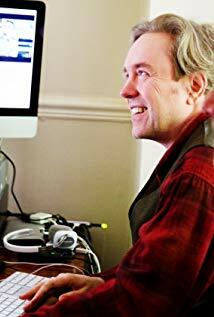 Emerging writer/director and for some time now professional film editor. I’ve written much in the past about the art and craft of narrative editing, so I thought I’d focus for a change on the parts of the job that aren’t putting shots together. What follows applies specifically to drama feature film editors. I’m also assuming that the feature film editor has an assistant; this is perhaps unwise as assistant editors are becoming more the preserve of bigger budget productions. I’ll talk you through how a job goes for me, or should go, in chronological order. My job starts before I’ve even been hired: giving a response to the script at the interview. This is a politically delicate task, you have to balance being honest with being enthusiastic about the project. If I’m too sharply critical of the script someone, particularly if they’re a writer/director, might get huffy and decide that I don’t have a feel for the project. If I’m too gushing in my enthusiasm and I get the job, I’ve lost an opportunity to point out any significant weaknesses the script might have before the cameras roll. So I’ve got the job: phew! I’ll sometimes be invited to a production meeting before the shoot – I’ll assume that in this case we’re cutting as the film is being shot – where I will get a better sense of what to expect from the rushes and a clearer idea of the director’s vision. During the shoot, I’m cutting the scenes together as they come in. But I’m not just cutting and showing back to the director, I’m giving feedback too. If a certain actor is falling short – maybe their performance is wooden or their continuity is all over the place – I’ll discreetly let the director know. Is the hand-held camerawork just too shaky? Are they not getting enough close-ups? All these things can be addressed in a quiet one-on-one conversation with the director. Maybe the limitations of time/budget mean that they can’t be fixed, but at least the director knows that the corners he or she are cutting are to the detriment of the film, and they can renew their pleas to the producer for more time to shoot close-ups. Also during the shoot it’s possible that my input will be needed by the art department, if a pick-up shoot is happening and continuity needs to be maintained. I’ll also consult on visual effects shots. When a TV screen, computer monitor, phone or tablet are part of the action it’s usual these days to have them playing a green screen, so that the TV show or other graphics can be added later, however shooting the screen actually playing the footage always looks better than adding it in post-production. This requires the on-screen material – if it’s original material – to be shot in advance, to allow the cutting room time to cut together the report (or whatever), add graphics and deliver it back to set. At the end of the shoot I’m invited to the wrap party, where I get to say hello to the cast and crew who are busy saying goodbye to each other. For them it can be a great party, if they have a day or two to sleep it off. I don’t: I have a film to cut. The director has watched my first assembly and the producer has watched the director’s cut and we’ve all decided that the story needs a bit of work. To this end, many cutting rooms have brief descriptions of the scenes written on filing cards and pinned to a board, in exactly the same way that a screenwriter does. This allows an at-a-glance view of the shape of the story. We might colour the scenes according to plot-strand or character, so that we can see where we have too much of one thing or too little of another. Could we lose scene 42? It would help us reduce the distance between a set-up in sc.37 and the pay-off in sc.50. At some point the knives come out and a number of filing cards are removed from the board. If you watch the scene playing it reminds you of the way the sun caught the actor’s hair, the way they delivered that line, the amazing jib shot. If instead you read a scruffily written phrase on a 4×6 inch card, it reminds you that it performs no narrative task and is slowing down your story. Cut it. Around this time the Executive Producers step in and start making their demands: some sensible, some crudely commercial, others just bewildering. If we’re lucky, we’ll be screening the film live to these people, and will have an opportunity to discuss the points they raise thereafter. The director, producer and I can talk them through what we’ve tried, what we can’t try without shooting more material, and what is an interesting idea that we’ll think about (i.e. over our dead bodies). More commonly nowadays, however, the Execs won’t turn up for screenings, asking instead for a DVD or a link to the film on a secure site. Notes are given by email or via a phone call with the producer. Everything takes longer, the reasons for people’s opinions get lost in Chinese whispers, and the opportunity for ideas to spark in the way they sometimes do when they are being batted around is missed. The Exec’s notes can lead to major recuts, reordering of material or sometimes even to new material being shot. If reshoots are required, the director and editor will discuss and decide exactly what’s needed and the editor will provide a reference video showing the scene as it stands, so that continuity can be maintained. Once everyone is happy or has run out of ideas / time / the will to live, picture lock is declared and editing stops. At least that’s the theory. The composer, sound editors, VFX company, grader and the like are let loose on the film and the reign of the editor passes. On most low-budget productions the editor is booted off at this point, perhaps being invited to pop along to the final sound mix. On bigger productions the editor is kept on until the end of the final mix. They’ll attend spotting sessions with the director and sound editors and will be part of the discussion process with the composer. As the VFX shots come in the editor will often be the first filter for them, sending some back before they’re ready to show to the director. The editor gets to attend the ADR sessions where we hobnob with the actors. Crucially the editor also gets to check back the online, making sure that all our decisions have faithfully been carried across. In recent years, the increased number of low-budget productions made by first time directors and producers has eroded the role of the editor. Understandably, they think that we just sit in front of our computers and fiddle with frames. As a result they often end up marginalising us, sometimes to keep power in their own hands, but more often because they just don’t know. They don’t realise that a feature film editor is more than a button-pusher, we are the directors’ consiglieri: professional storytellers who are focussed as much on the big picture of the story, as we are on the details of how one shot passes to the next. We are central to turning a pile of rushes into a story that could live with the audience for the rest of their lives. Oh, I am positive during the shoot as well. But, while it’s good to reward excellence and give the director encouragement, it’s of greater practical importance to identify the things that aren’t working. The stuff that’s going well will continue to go well, with or without my praise. Nice. Good solid overview. A great thoughtful share. Thank you. PreviousDoes your lens policy need renewing? NextCan movies cause political change? Aspiring writer/director and for some time now professional film editor.